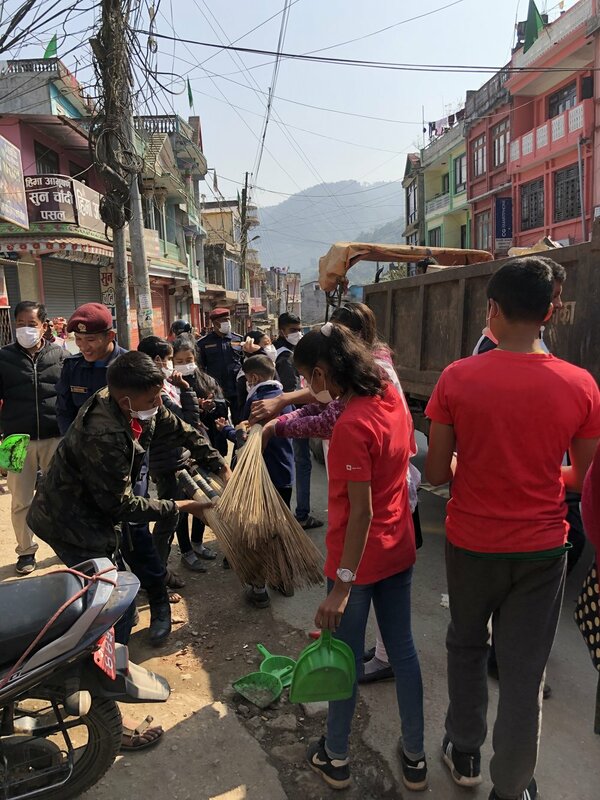 Today Syangja's Red Cross Youth Team arranged a sanitation drive in Putalibazar. 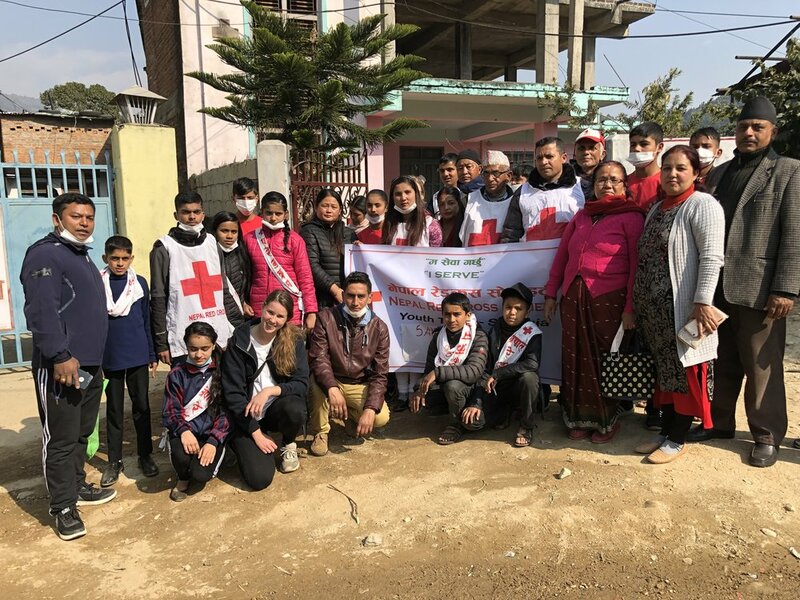 They had invited students from different Junior and Youth Red Cross Circles, their teacher sponsors (Red Cross supervisor), policemen, journalists and employees at the local municipality office - all together we were about 40 people eager to make our city free from trash! The Youth Team were in charge of all steps; they planned the event beforehand, handed out materials, participated in the actual drive, collaborated well with both young and old, and were overall good role models. The Youth Team Coordinator Nisha Bashyal was even interviewed by local news and handled it like a pro! This is the first activity the Youth Team arranged by themselves, and we are very impressed! 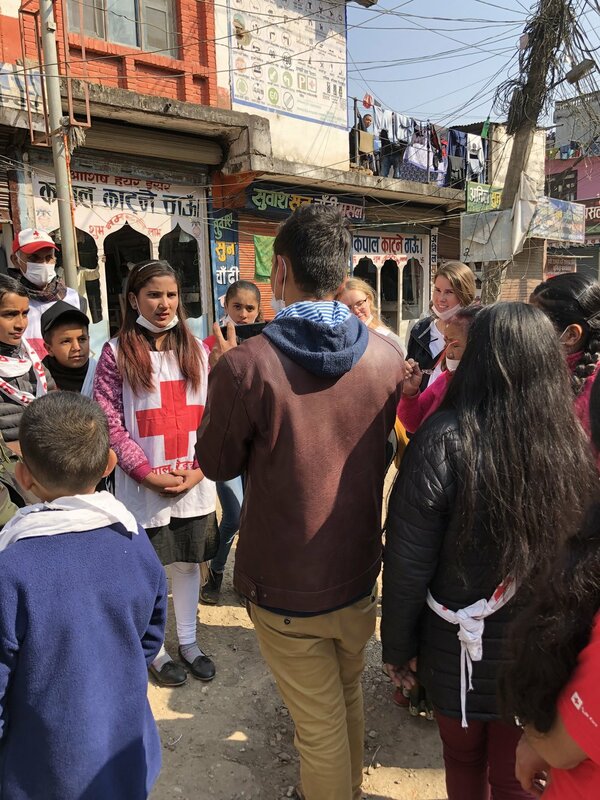 They even got interviewed by (several) local newspapers, and we are looking forward to reading articles about Red Cross contribution in Putalibazar in the coming days.